Russia and Turkey have commonly pursued the goal of achieving hegemony in their respective regions under Putin and Erdogan. While Russia has invested in the Eurasian Economic Union (EAEC), Turkey has relied on enlarging its free trade agreement (FTA) network in the Middle East. I argue that objective economic/material factors cannot explain the foreign economic strategies of these two countries. Instead, it is elite national identity conceptions that primarily construct and define economic interests. In the age of populist nationalism, foreign economic strategy – the set of policies that governments devise to maximize benefits in international markets – will continue to be an essential issue area of international political economy (IPE) research. Brexit and Trump’s rise to power are clear manifestations of how elite-driven populist projects might influence public opinion and people’s political and economic choices in advanced democratic societies. The interests of business groups, compatibility of goods produced, and market access conditions might become less relevant as populist leaders supported by nationalism re-orient their countries’ foreign policies and economic goals. The upcoming Trump presidency will test that. This anti-liberal populist trend in democratic Western societies has by no means been a novelty for Russia and Turkey, two countries led by strong leaders with ambitious foreign policy aspirations. Despite differences, there are remarkable similarities between the anti-establishment wind blowing in Western democracies and politics in Russia and Turkey. While Trump and right wing populism in Europe have emerged as anti-establishment movements, Putin and Erdogan have built their political power at the expense of Westernizers in their own societies. In other words, Westernizers, which held important bureaucratic and political positions in both countries in the 1990s, constituted the internal others, in a Hopfian sense, of the national identity conceptions of the current ruling elites in Russia and Turkey. The populist nationalism that Putin and Erdogan rest on today is very much rooted in the political instability and socioeconomic crises that both countries went through in the 1990s. National identity conceptions are elite understandings of the nation’s roles and purposes in international politics. They are historically shaped, and ever evolving. Different political elites attribute different roles to their nations, which predict varying foreign policy options. Neighbors are particularly important for national identity debates due to commonly shared historical legacies, enmities, alliances, etc. Different elite groups’ contestation over the roles and purposes of the nation with regard to other nations matters significantly in defining national economic interests and foreign economic policies. More importantly, in defining the interests of the nation, ruling elites do not only operate based on how the nation interprets its role in relation to external others, which, in my study, include neighboring countries. National identity conceptions of internal others – rival political elites – are equally important in shaping foreign economic strategy. This contestation over national identity not only shapes the political and economic purposes of a nation vis-à-vis others in a region or the world, but also the friends & enemies of the nation as well as its superiors and subordinates. Therefore, as explored by Abdelal previously, the domestic contestation over the nation’s roles and purposes outside national boundaries shape the prospects of conflict and cooperation in a region. I examine foreign economic strategy in two components, direction and form. Direction refers to geographic orientations of foreign economic relations. It is measured by trade and investment treaties that governments seek to sign with other governments. Typically, regional powers aim to exert economic influence over their neighbors through free trade agreements and bilateral investment treaties, which benefit the exporters and investors of firms in the regionally preponderant state. Form of foreign economic strategy, on the other hand, is measured by the tools that governments employ to exert economic influence over other governments. Based on the tools that a regional power use in its relations with neighboring countries, form can run the gamut from neo-imperialism to liberal multilateralism. 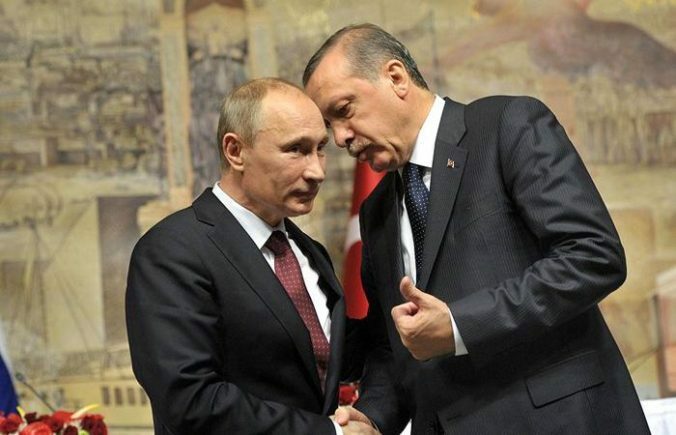 In both Russia and Turkey, elites in power have defined national interests in opposition to the prevalent Westernizing conception and policies of the 1990s. From the 1990s to the 2000s, both countries changed the geographic orientations and forms of their regional foreign economic strategies. The shifting national identity conception in Russia from a Westernizing one under Yeltsin’s presidency to a great power nationalist one under Putin’s leadership led to a geographic reorientation of Russia’s foreign economic policies from the West to the post-Soviet region. While the Westernizers of the 1990s wanted integration into Western economic structures, great power nationalists have prioritized integration in Eurasia. Great power nationalism is a distinctive kind of nationalism, which places Russia at the top of the social hierarchy in the post-Soviet space. Great power nationalists believe that Russia is the legitimate authority to govern the economic and security order in the Eurasian pole of the multipolar world. Similarly, Turkish governments of the 1990s – various coalitions of center-right and center-left parties – pursued economic integration with the European Union and closer economic ties with the post-Soviet states, while economic integration with the Middle East has become a priority under the ruling Justice and Development Party (JDP). JDP’s conservative national identity conception embraced the Muslim Middle East, in contrast to the traditionally Western oriented and Kemalist national identity conception of the 1990s. While the Westernizers conceptualized the Middle East as a region of insecurity and instability, Turkey’s conservatives saw it as a region with which to integrate thanks to a growing volume of Turkish exports and investments. Turkey’s conservative ruling elites also think that Turkey is historically the superior country in the region’s social hierarchy. That is why the former Prime Minister, Ahmet Davutoglu, himself a professor of International Relations, conceptualized Turkey as a ‘central’ and an ‘order-establishing country’ in the Middle East. In terms of the form of foreign economic policies, Putin and his allies’ great power nationalist identity conception has resulted in a coercive type of regional leadership towards establishing the Eurasian Economic Union. In order to attract small post-Soviet states into its orbit, Russia has systematically used its natural gas resources as leverage. The price of natural gas has been especially instrumental; Russia offered its gas for below the market levels to its allies such as Belarus and Armenia, while it played with the price for countries such as Ukraine, depending on how pro-Russian the Ukrainian government was. Similarly, Russia has applied economic sanctions on Moldova, Georgia and Ukraine to push them away from signing association agreements with the European Union by targeting their most important sectors (e.g. Moldovan and Georgian wine). Conversely, the JDP’s conservative national identity conception has made Turkey a liberal economic leader in the Middle East. Ankara followed a liberal leadership strategy in the Middle East from 2002 when the JDP rose to power until 2012, when Ankara officially decided to topple down Syria’s Assad regime. Turkey’s liberal strategy was rooted in the conservative’s elites’ opposition to the traditional, Westernist conception of the region as inherently conflict-ridden with various kinds of threats for Turkey. In opening up to Middle Eastern markets, Ankara relied on private actors such as business associations. Also, Ankara’s key goal was to expand Turkey’s FTA network throughout the Middle East and North Africa. The final link in the chain was the Levant Multilateral FTA Zone established by Turkey, Jordan, Lebanon and Syria in 2011. The Levant Zone aimed to achieve economic integration in the Eastern Mediterranean. The project failed before it bore fruit, as the Syrian government unilaterally withdrew from it in December 2011, and Turkey applied sanctions against the Assad regime. In both countries the process of the consolidation of political power at home constituted a critical juncture in that it eliminated the influence of alternative national identity conceptions and reinforced formerly set foreign economic goals. This took place in Russia in 2004 as Putin was elected the president for a second term, and in Turkey in 2007 as the ruling JDP gathered the majority of the votes in the general elections, which offered it the opportunity to form a single party government for the second time. Similarly, both Russia’s great power nationalists and Turkey’s conservatives saw the global financial crisis of 2008-09 as a great opportunity to increase their economic influence in their neighborhoods. Both regional powers’ efforts towards regional hegemony intensified after the crisis, which from the eyes of Moscow and Ankara clearly indicated the economic fall of the West. Post-crisis developments have also strengthened the anti-Western rhetoric and the support for more independent foreign policy courses in both countries. Domestic contestation over national roles and purposes takes place in other regional and rising powers as well. Most recently, national identity debates have influenced foreign economic policies in the developed world. As British citizens voted to leave the EU, American citizens elected Trump due partly to his anti-globalization and anti-free trade discourse. In the future that lies ahead, Trump is highly likely to build on his discourse which blames his predecessors – his internal others ­– for America’s structural economic problems. If my argument is valid, it will not be a surprise for emerging populist leaders elsewhere in the world to change foreign economic or foreign policy course based on what their predecessors did. As the Russian-Turkish comparison demonstrates, populist nationalism does not predict a particular type of foreign economic strategy that favors protectionism over free markets. That echoes Helleiner & Pickle’s argument that the new economic nationalism is different from the conventional view based on erecting barriers to trade in order to protect infant industries. However, it predicts that economic relations between countries will depend more on domestic contestation over national identity in the age of populist nationalism. Anti-establishment ruling elites in Western societies will rely heavily on popular support to legitimize their foreign policy choices. By doing that, they might face a big dilemma that presents a choice between the optimal foreign policy course versus the obligation to please popular demands.